DJM Orthodontics has gotta be one of the most creative-thinking ortho offices…ever. 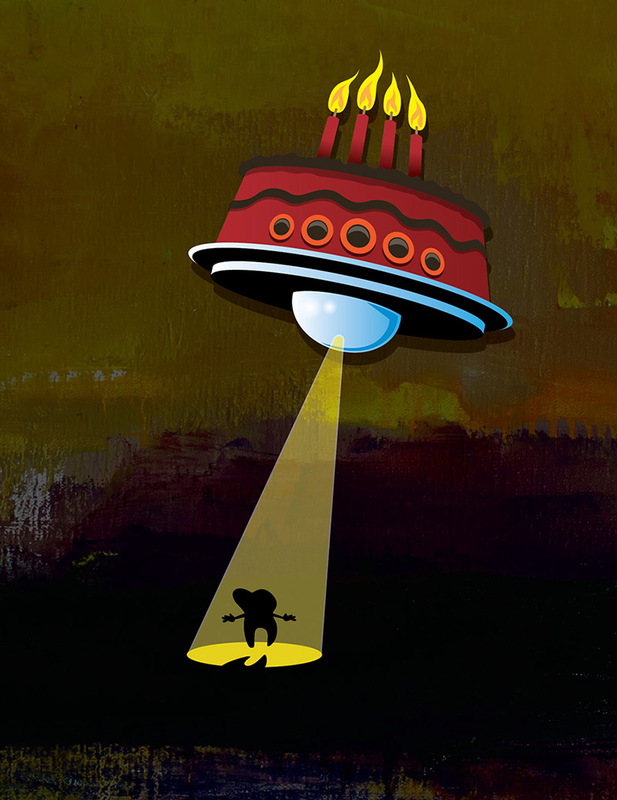 They’ve called on us to illustrate some fun stuff, including this illustrative spin on an old B movie. 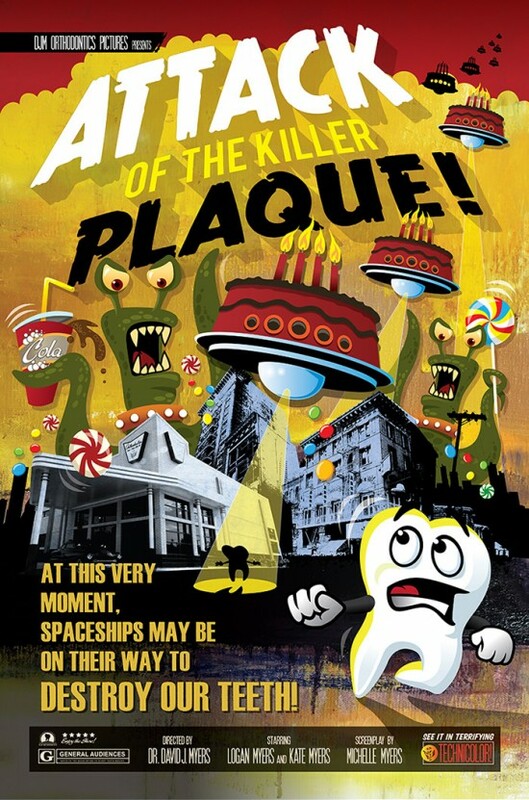 The enemy is plaque, who is sending hoards of candy-n-cola-armed aliens to attack the unsuspecting teeth. 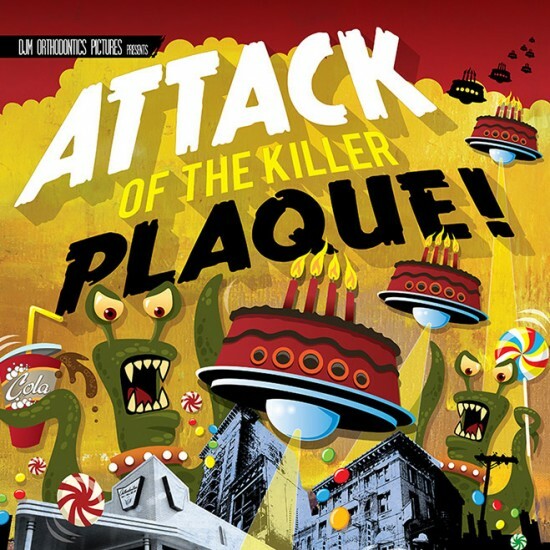 The horror!! 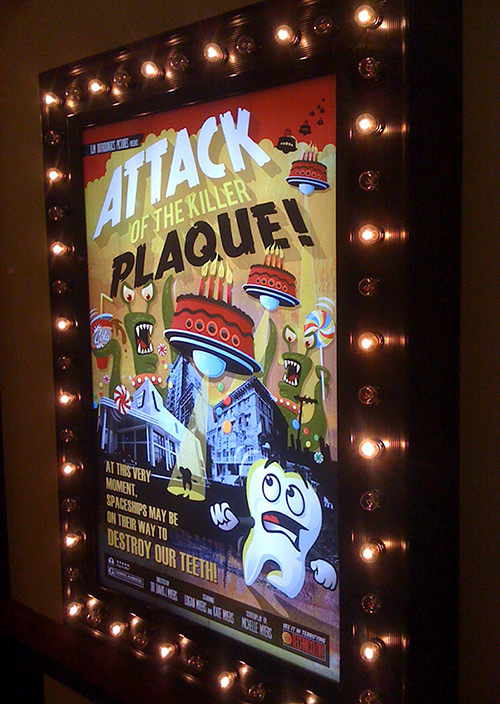 This poster (scroll down for pic) is mounted to the walls of DJM Orthodontics’ office and surrounded by flashing bulbs for a theater-like presentation. In the foreground is a photo-illustration of the actual Conway, AK office location.